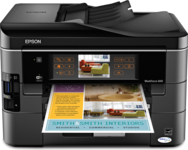 Which is the best all-in-one printer? 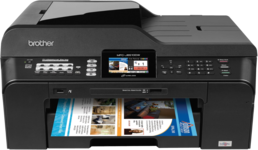 Automatic Document Feeder (ADF) is a feature which takes several pages and feeds the paper one page at a time to the print, copy, fax or scan functions. 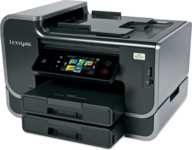 This will allow the unattended faxing of multi-pages. 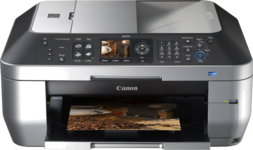 Print Resolution B/W is the maximum number of dots per inch (dpi) that can be printed for black and white output. It refers to the horizontal and vertical and is usually an “up to” value. Therefore a 600x600 dpi printer places 600 dots across and 600 dots down in one square inch. The higher the resolution number the more detailed the text and images. 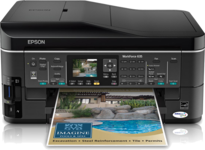 Print Resolution Color is the maximum number of dots per inch (dpi) that can be printed for color output. 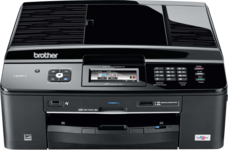 Printer Speed B/W is the number of pages per minute (ppm) the printer can output in black and white. The International Organization for Standards, known as ISO, has a standard for print speeds for both black/white and color copies. These numbers are based on ISO test procedures and provide a consistent way to compare printer speeds for B/W and color printing. Print speeds usually does not include time to print the first set. 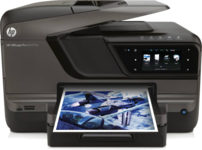 Printer Speed Color is the number of pages per minute (ppm) the printer can output in color and are also based on ISO standards. Incoming Memory Capacity shows the number of faxed pages that can be stored. This is useful for receiving faxes while the printer is unattended. Copy Speed B/W is measured in copies per minute (cpm). This speed does not include the time to copy the first set and is usually an “up to” value. Copy Speed B/W is measured in copies per minute (cpm). Scan Optical Resolution is measured in dots per inch (dpi). It is usually shown as an “up to” value. This should not be confused with “interpolated” resolution which generates dots between the actual dots in order to provide more resolution. This often does not add a more detailed resolution. 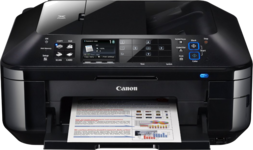 Duplex Printing allows the automatic printing of a sheet of paper on both sides. 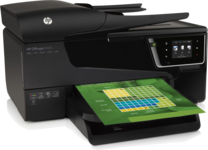 HowToDecide would appreciate your feedback on any aspect of the Which is the best all-in-one printer? Quick Decide Guide™.